The key to understanding global climate change is to first understand what global climate is, and how it operates. This is the purpose of chapter 1. 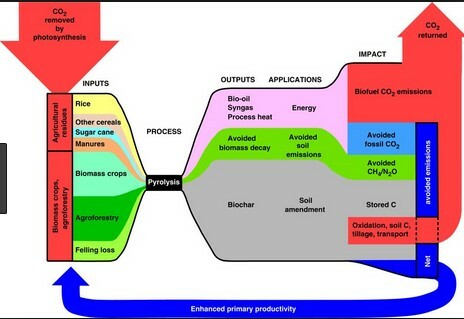 The global climate system is a consequence of and a link between the atmosphere, oceans, the ice sheets (cryosphere), living organisms (biosphere) and the soils, sediments and rocks (geosphere). 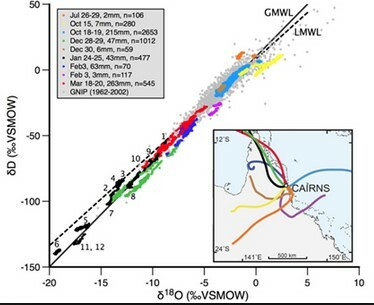 Only by consideration of the climate system in these terms is it possible to understand the flows and cycles of energy and matter in the atmosphere, an understanding which is required to investigate the causes (and effects) of climatic change. 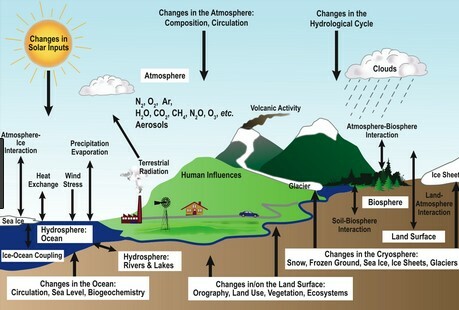 Having stressed the interconnectedness of the elements that make up climate system, it might therefore seem inappropriate to divide a discussion on the climate system into separate sections, each dealing with a different component of the climate system. However, without this rationalisation, such a discussion would prove very difficult, in light of the huge complexity of the climate system. This discussion will therefore begin with the atmosphere and its energy budget or energy cycle, the balance of which ultimately controls the global climate. Following upon this, the other components of the climate system (the oceans, cryosphere, biosphere and geosphere) will be introduced, showing how each influence the atmospheric energy budget.